In the stylized map of the heavens, the cycle of the 12 animals are grouped into 4 essential elements that make up the whole universe: Fire, Water, Earth, and Fire. Among these 4 groups, Fire is said to be compatible with Air while Water can get along well with Earth. The reverse compatibility works in the same sense. That means Air is compatible with Fire, for instance. In that sense, a typical Fire sign like Aries can form a long-lasting relationship with the Air signs (Gemini, Libra, and Aquarius) and other remaining Fire signs (Leo and Sagittarius). Is the one you love an Arian? Read to see how compatible you and your Ram are. No matter how much you try, Aries with Cancer will never be able to be in the same boat, why so? It is mainly because a Fire sign like you, Aries is incompatible with a Water sign like Cancer. Thus, it is time to move forwards and consider your love compatibility with the three best airy signs for the perfect love match. In other cases, if the one you love is an Arian and you yourself come under an Air sign, may we say that it is the ideal combination? From Aquarius to Gemini and Libra, Aries can together work well in a hand-in-hand relationship. The love scenario looks like the camp fires dancing with the wind. There exist some similar characteristics between the two potential interests. While Gemini and Aries both have curiosity and short span of attention, they can profoundly understand another’s weaknesses. Thus, they may not blame each other for leaving the projects mid-way. Aries Zodiac Compatibility states that their scattering energy makes the two sympathize with their partner, approve the imperfect spot, and be willing to support it. However, occasionally some silly arguments may arise because Aries is determinative while Gemini is adaptable. 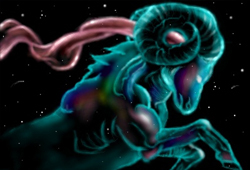 Besides, it is said that Aries’ need is someone that can take part in their adventurous and challenging journeys. Besides, that must be a person who is independent enough to detest excessive possession. In this case, Aquarius is truly your perfect life mate who never holds you back with the emotional commitment. You and your Aquarian can be hand-in-hand exploring as many destinations as possible. The progressive Aquarius will never say “NO” to adventures and challenges. Let’s have a look at Aries and Aquarius Love Compatibility! In the same sense, Aries and Libra are both sociable in the circle of friends. While Aries can inspire others with courage and excitement, Libra is far-minded and diplomatic. With the young spirit, the newly formed couple can create tons of optimistic words and life targets. Sometimes the slight controversies may happen since Aries is on the way to confrontation while Libra tries to avoid it. What’s more, Libra is indecisive from birth whereas Aries is born with the strong determination. Convincingly, Aries can form the truly long-lasting happiness with Sagittarius and Leo. Being grouped into the Fire element, the three fiery signs posses many compromising characteristics such as generosity, independence, and impatience. Their sparks of inspiring love can be ignited smoothly via some tiny acts of love. The Fires together can sit on the same boat till the end of their lifetime. They understand, sympathize, and adjust one another so that their love bond can be tightened day after day. It is not a big surprise when you find a Leo-and-Aries couple who can maintain their thrill of being in love and withstand the test of time regardless of their inborn stubbornness or arrogance. Of course, no couple can be seamlessly compatible without any dark spot. Check out Love Horoscope 2017 for Aries and Leo Compatibility! Don’t be reluctant to contact us whenever you want to have your puzzles regarding the article “Aries Love Compatibility With Air And Fire Signs” answered by submitting them in the form here.